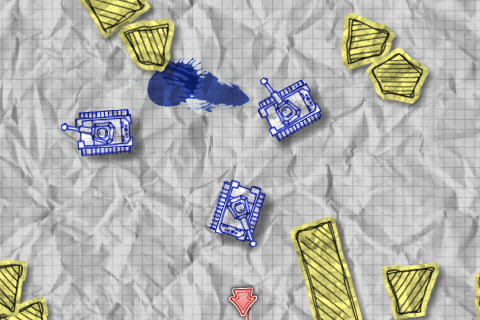 Panzer Panic is a war on a notepad with paper-tank battles that have the look of being sketched with ink. 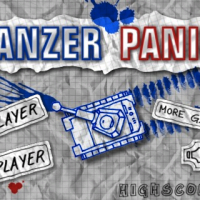 Panzer Panic is a very artistic game that delivers some pretty good action. 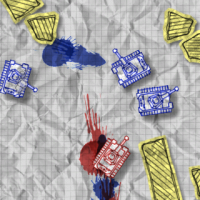 The entire game has the look of being sketched on a notepad with ink and shots fired from the tanks are basically splattered ink blots. 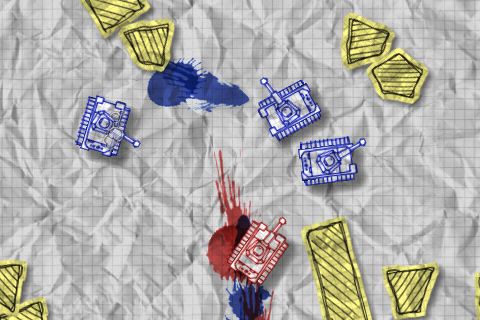 The player has three paper-tanks at their disposal which essentially represent three lives. Each time a tank is destroyed, it does not reappear until the next round. Lose three tanks and the round is over. 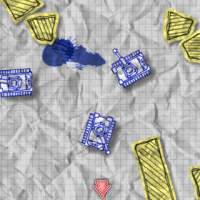 As levels increase, enemy tanks begin to grow in numbers and each successfully completed level gains the player one point. The game also includes two game modes; Arcade and Versus. In Arcade, players play against AI-controlled opponents and in Versus, players play with turn-based battles against friends. Each environment also includes various obstacles that can be moved and used as protection. 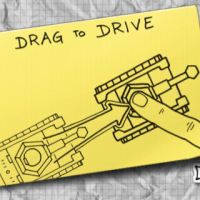 Moving obstacles is done by driving into the object. 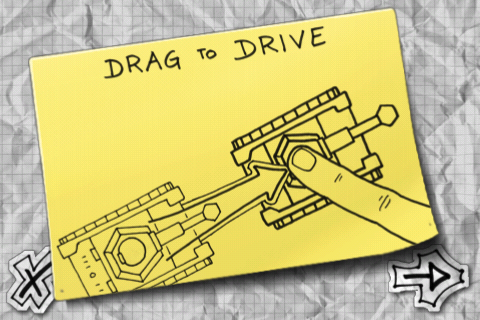 To move the tank, players simply drag their finger along the tank and firing is done by flicking. Users can also move the map by using two finger scrolling. While controls are rather easy to pick up, they can become unresponsive more times than not. The tank controls and flicking to fire were sometimes completely unresponsive and I found myself having to flick multiple times to fire a shot. The two finger map scrolling is also very annoying and can cause game play to become a burden. 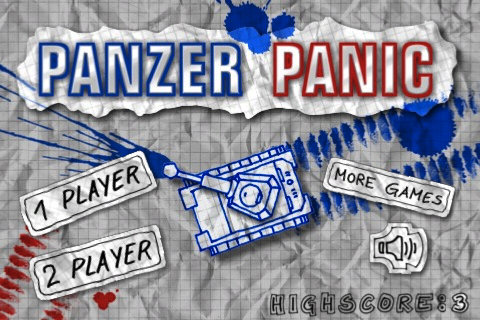 Panzer Panic is available in the App Store for $1.99.